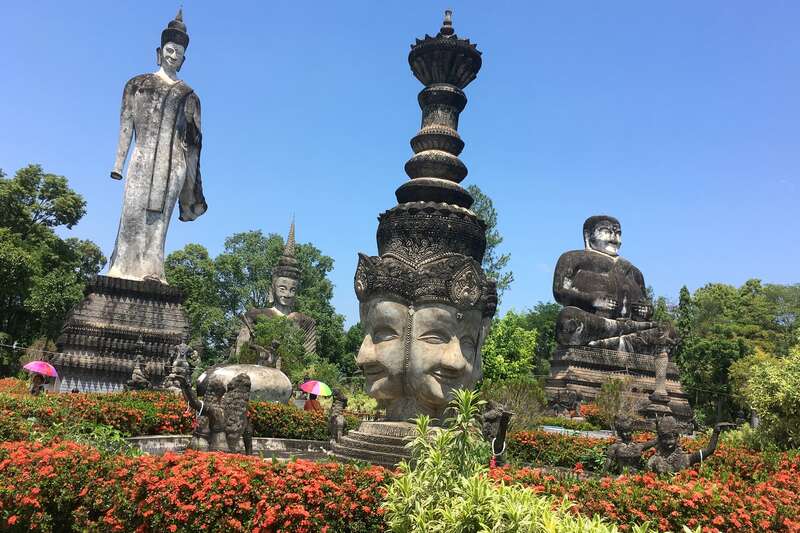 Exploring sculpter Luang Pu Bunleua Sulilat’s even more ambitious and enigmatic Thai sculpture park follow-up to his famed Buddha Park just across the river in Laos. 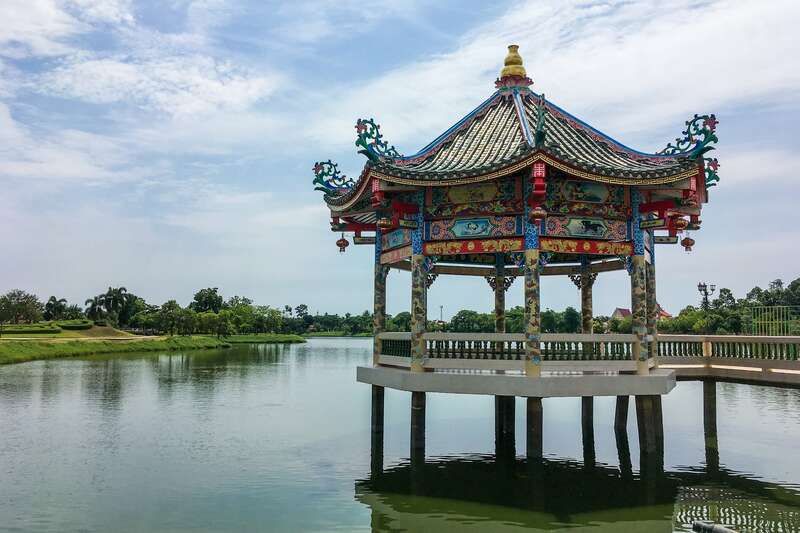 A fun morning spent exploring newly refurbished and uniquely Chinese Nong Bua Lake and Chalom Phrakiat Park on our way out of Udon Thani. Finally, the post you’ve all been waiting for… Noe (and friends…but mostly Noe) in Railay! When the sun sets at 6pm, even Noe gets a sampling of the beach nightlife. And when the grandparents are in town, mom and dad get even more. Heading down south to one of our favorite places on the planet for five fun-filled days with four of our favorite people on the planet. We venture to the far south of the island to Wai Bay. Could this prove to be the perfect beach we’ve searched for all these years? We’ll find out! On some islands, you beach hop. On Ko Samet, you cove hop. Today, we visit five distinct coves without setting foot on a lick of blacktop. Awake early in the small Thai fishing village of Ban Phe with a couple of unhappy stomachs. Nothing that some tropical beach time won’t cure! With work obligations finished, we’re off on our long overdue first beach holiday since moving to Southeast Asia! Noe and I explore Bangkok on our own while Lori attends a physical therapy conference … until we decide to sneak our way into the conference, posing as Dr. Singha and his esteemed colleague, Professor Peepoo. Starting the week on old Rattanakosin Island, before relocating into the exploding high-rise jungle of Eastern Bangkok. Ayutthaya. For over four centuries, the magnificent center of the Siamese kingdom. Say it three times fast and you just may give yourself TMJ. Continuing on our Saturday out in Bangkok, we catch a ferry to the Temple of Dawn (Wat Arun) and cool down with some drinks along Bangkok’s infamous Khaosan Road. After nine months of living in Laos, we finally make it down to the Big City, a mere 400 miles south of Vientiane (but a world apart). 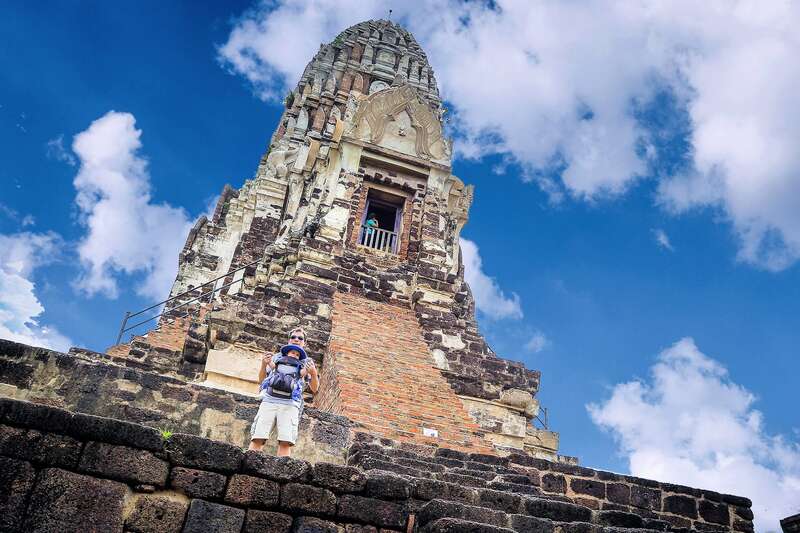 Thinking of visiting the ancient UNESCO city of Ayutthaya on your own and—dare I say—with a baby? Here’s our trip report, including how to get there and what to see and do.